Despite unique ecological status, Drava is not an unregulated river. During the regulations in the 20th century, many meanders were cut from the river. These meanders are now side-arms, which get water only during high water levels, or ox-bows, which do not communicate with the main river course any more. The longest oxbow on the left side of the river is the Old-Drava, upstream the town of Barcs and Virovitica. 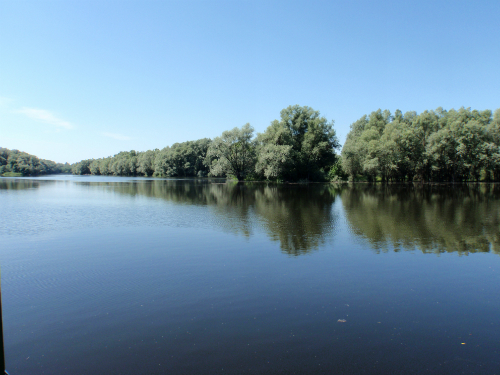 Water supply of the Old-Drava is not sufficient, especially during long dry seasons, and that’s why ecological status of floodplain forests along it started degradation in the previous decades. Responsible authorities and engaged NGOs from both countries along the river, Croatia and Hungary, started cooperation for trying to find solutions against the harmful degradation process, and developed a project proposal for the restoration of the Old-Drava. The LIFE+ Nature program supports this initiative, and a four-year project started in 2014. The project leader is Danube-Drava National Park Directorate, and its partners are Municipality of Pitomaca, Virovitica-Podravina County's Regional Development Agency, Public Institution for management of protected natural values in Virovitica-podravina County, WWF Hungary and Angling Association of Somogy County. This is the first joint Hungarian-Croatian LIFE Nature project, which started rigth after Croatia joined the EU. The total costs of actions in LIFE Old-Drava project (LIFE13 NAT/HU/000388) is € 834,006, the EU contribution is € 634,695.